UNG finished third overall and earned the ROTC title at the Sandhurst Military Skills Competition held April 12-13 in West Point, New York. 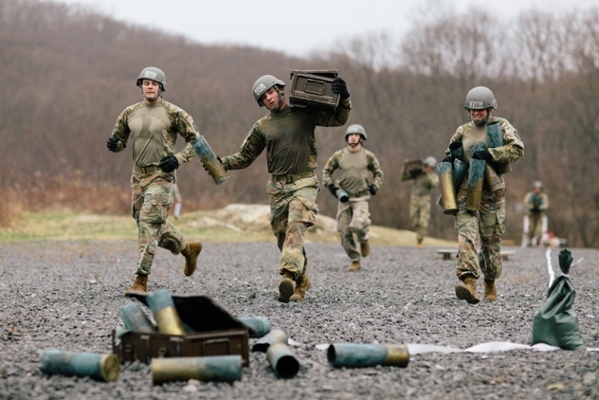 Experience proved beneficial for the University of North Georgia's (UNG) Ranger Challenge team in the 2019 Sandhurst Military Skills Competition. 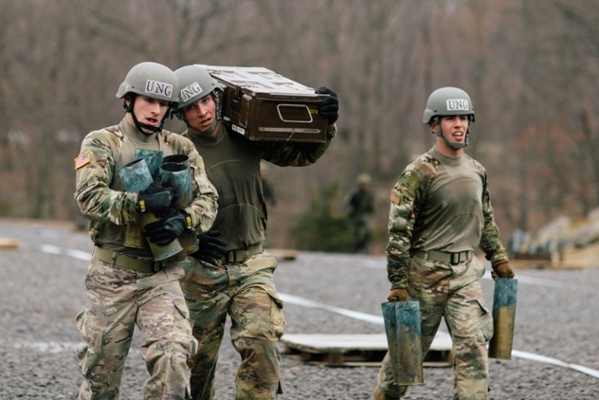 With six of its 11 team members part of a group that finished fourth at Sandhurst in 2018, UNG was the top ROTC team for the second year in a row and third overall out of 49 teams in the event held April 12-13 in West Point, New York. UNG was the lone team not from the U.S. Military Academy at West Point to finish in the top five. "This was a great team and a great outcome," said Army Maj. Donovan Duke, an instructor in the Department of Military Science at UNG and coach of UNG's Ranger Challenge Team. "The team really worked hard this past school year. They were ready." 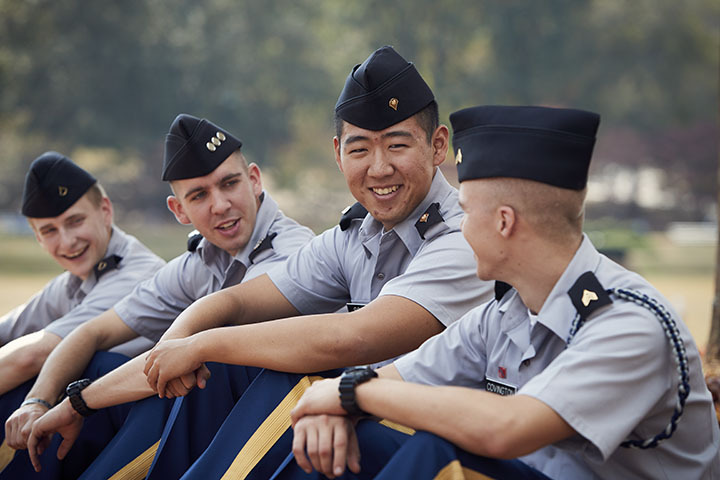 UNG finished ahead of 14 of West Point's 16 teams, as well as teams from the U.S. Air Force, U.S. Navy, U.S. Coast Guard, 15 other ROTC programs and 14 international military academies. "We are incredibly proud of their accomplishments," said Col. Joshua D. Wright, professor of military science for UNG's Corps of Cadets. "They have earned every bit of the results, no doubt." Cadet Capt. John Bordeaux, a senior from Huntsville, Alabama, pursuing a criminal justice degree, said the team excelled at adapting and overcoming obstacles. "I'm absolutely thrilled. I couldn't have picked a better group of people to do this with," said Bordeaux, who serves as the team captain. "I wish we could have taken that first place home, but we had a ton of support. And everyone pushed and did their best." Madeline Tipton, a senior from Blue Ridge, Georgia, pursuing a degree in sociology, said the team may have been at its best in the commander's challenge, going out "with a bang" in its final event. She expressed gratitude for how Duke pushed the team so it was prepared for Sandhurst. "We stuck together as a team and did the best we could. We gave 100 percent and left everything out there," said Tipton, who competed at Sandhurst in 2018. "It's a really good feeling. It's just great to be able to go out there and have your best friends on your left and right who you've trained with for four years." Duke said UNG's focus on the fundamentals was crucial in a variety of the events at Sandhurst. He was particularly impressed with how UNG's cadets responded while other teams struggled near the finish. "As the competition was finishing up, they were getting stronger," Duke said. Sophomore cadet Derek Whitmore, who is pursuing a criminal justice degree, was one of the six cadets who competed at Sandhurst in both 2018 and 2019. "Everybody is extremely proud. But no one's really content. Third-place isn't quite first," said Whitmore, who is from Newnan, Georgia. "We're all training to get better prepared to lead in the future. So what better way to apply yourself than this?" Team members for the UNG Ranger Challenge team at Sandhurst were: Bordeaux, Tipton, Whitmore, Chris Bissett, Walker Dunlap, Garrett Wilson, Tristan Moran, Nicholas Nesbitt, Paul Rose, William Norman and Hayley Farmer. Six of UNG's 11 team members at Sandhurst also were part of the team that finished fourth a year earlier at Sandhurst. Sgt. 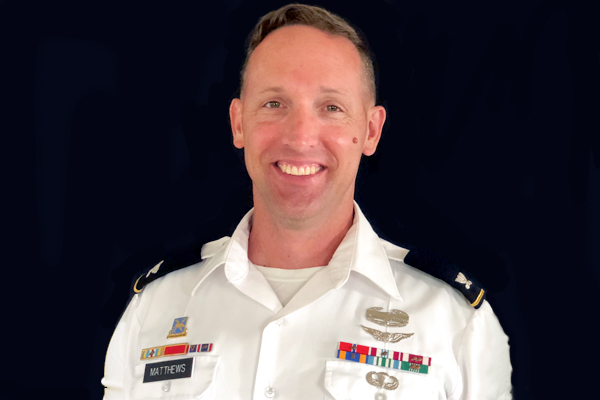 Maj. Vaughn Overton, chief military science instructor at UNG, was grateful to see the way UNG and fellow senior military college VMI worked together in the same brigade at Sandhurst. A cadet from VMI won the Tom Surdyke Memorial Leadership Award. 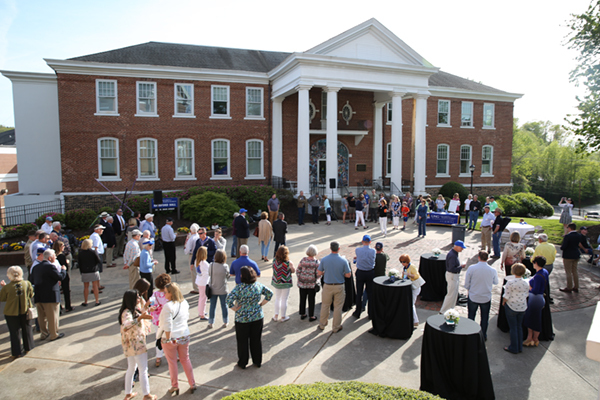 UNG's performance reinforced the strength the school had shown in 2018. "The way that UNG trains and continues to pass on leadership skills is outstanding and unique," Overton said. Ranger Challenge is the varsity sport of Army ROTC, and teams compete over two days against other schools from around the world in events such as patrol, marksmanship, weapons assembly, one-rope bridge, grenade assault course, Army Physical Fitness Test, land navigation, and a 20-kilometer road march. UNG's team earned its return to Sandhurst by winning the Spartan Ranger Challenge hosted by the 1st Brigade of U.S. Cadet Command from Oct. 25-27 at Fort Knox, Kentucky. UNG was the best among 18 teams from the nation's junior and senior military colleges at the October competition.